In 2012 the Board of Directors of OMS made a commitment to implement a scholarship process for candidates pursuing advanced degrees in mycology. Criteria and processes were developed, and in 2013 the first three scholarship awards were made to graduate students in mycology. OMS does not have an endowment funding the scholarships, therefore OMS will allocate budget funds as available to perpetuate the scholarships while actively soliciting donations to maintain and to grow the program. But we need your help! Please donate what you can offer by using Paypal payment button below. Note, that you will receive a Paypal transaction receipt for tax purposes indicating that you have donated funds to a 501(c)3 corporation for educational purposes Enter the donation amount, and click the button below. You will be taken to PayPal where you can complete the payment with either credit card or through PayPal payment. Alija Mujic – $1000 award. 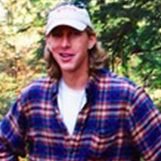 Alija studied at Oregon State University in the lab of Dr. Joseph Spatafora. 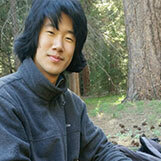 His PhD research focused on the systematics and phylogeography of the Rhizopogon-Psuedotsuga (douglas fir) symbiosis. Alija has studied this relationship and made significant progress in field research in North America and around the Pacific Rim. Alija presented his findings at an OMS General meeting in April of 2014. Dan Thomas & Roo Vandegrift each were awarded $1000 for their work in Ecuador studying Xylariaceae, the most common endophyte in the tropics. Both studied with Dr. Bitty Roy at the University of Oregon. Dan and Roo made a joint presentation at the June 2014 general meeting. Roo also made a follow-up presentation in 2016 appearing as a newly minted PhD. Congratulations Roo! Jade Florence – $1500 award. 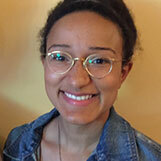 Jade studied with Dr. Jay Pscheidt at Oregon State University. Her research focused on developing an organic control method for Mummy Berry on blueberries. Mummy Berry is caused by the fungal pathogen Monilinia vaccinii-corymbosi. Because blueberries are such an important crop in the PNW her research is of great local interest. After determining that the organism is inhibited by light, her research focused on the timing and depth of mulch applications as an organic control. Jade made her presentation at the June 2015 OMS general meeting. Dabao Lu – $1500 award. Dabao has done some fascinating work on the mating type genetics of the ectomycorrhizal genus Rhizopogon. He studied at OSU in Dr. Joseph Spatafora’s lab. Dabao made an excellent presentation in 2016. 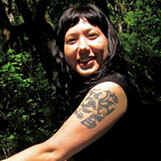 Korena Mafune – Korena is a PhD student at the University of Washington. She is studying under the guidance of Dr. Daniel Vogt. 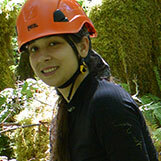 Her project is exploring fungal relationships and biodiversity in canopy and forest floor soils of an old-growth temperate rain forest located in Olympic National Park. Korena had a most excellent presentation at our February, 2018 meeting. 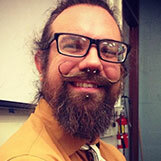 Patrick Bennett – Patrick is studying at OSU with Dr. Jeffery Stone. 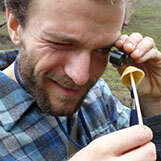 He is studying the fungus responsible for the foliage disease of Douglas Fir known as Swiss needle cast. Although it is a somewhat obscure ascomycete fungus, P. gaeumannii is as native to Oregon forests as its host, Douglas-fir. The disease has been of increasing concern to forest landowners in western Oregon since the mid-1980s and is estimated now to affect more than 500,000 acres in western Oregon. Obviously with the increased plantings of Douglas Fir in the region his research will be very important. Patrick was our speaker at our April, 2017 general meeting. 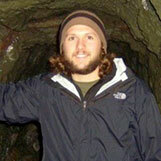 Richard Tehan – Richard is a third year Ph.D candidate at OSU. Richard is conducting research in the natural products chemistry laboratory that aims to link fungal natural product compounds to the genes responsible for their biosynthesis. Fungi contain a wealth of chemical compounds that have a tremendous potential as medicines and Richard’s work is helping to expose some of that potential. We are proud to be a small part of the effort and look forward to hearing an update on his progress at a monthly meeting sometime in the near future. 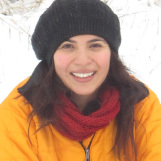 Carolina Páez – Carolina is a Ph.D candidate studying in the lab of Dr. Joseph Spatafora at OSU, and her research focuses on the systematics and evolutionary biology of Rhizopogon in the sky islands of the Southwestern US and Northern Mexico. Specifically, Carolina is studying how Rhizopogon has migrated with its hosts and how isolation and environment is shaping its evolutionary trajectory. 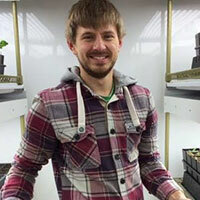 Stuart Ian Graham – Stuart is a PHD candidate at the University of Washington studying how mycorrhizal relationships are impacted by climate change. 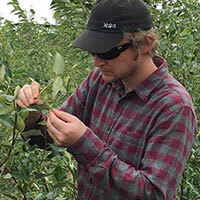 Edward G. Barge – Edward is a PHD candidate at Oregon State and his work is adding to our knowledge about foliar endophytes in Black Cottonwood trees in the PNW.